A sweet blog reader of mine has offered to do a FREE family photo session in Utah Valley, including a disc of 20+ images for one of my lucky blog readers. (You can live anywhere, but will need to travel to Utah Valley for the photo shoot). Wouldn't this be a great Valentine gift? Are you an actor who needs new headshots? So many possibilities. Check out heatherellisphotography.com to view more of her work. Thanks, Heather! To enter: Leave a comment telling me what you'd do with the photo. (Give it to grandparents, frame it in your house, give as a birthday gift, etc.) Winner will be chosen at random this Friday and announced on the blog as well as via email. P.S. If you don't win, you can still receive 20% off your photo session if you tell her I sent you. AND, she will donate a portion of the proceeds from the sales to A Good Grief. It's a win-win! I would most certainly send some updated photos to the grandparents in Nebraska! My extended family needs an updated photo. No one likes to have their picture taken, so the last one was in 2006, when my brother got married. At least 3 more grandkids have joined the family since then, besides the others that have grown up. Maybe if I won this, they'd be motivated to get in front of a camera again! I would FINALLY put pictures in the frames in my entryway that have been empty for 3 months now. What a great giveaway! Love to you and yours! I would change our family picture hanging on the wall to include our newest addition. Thanks Molly! I love reading your blog and I LOVE doing photography. I can't wait to meet the lucky winner!!! Ooo, I would definitely take some pregnancy picts for our home! The grandparents are always begging for new pictures so they are definitely on top of my list for reasons why I want new family pictures. I'd wait until my baby on the way is here to get pics! The whole time I've been married I've thought it'd be ridiculous to get professional photos with just my husband and I... I kept saying "we'll have a baby soon and then it'll be outdated- so may as well wait" Well, with no baby in the near future I figure, why not? My hubby and I are a family, and we should have an attractive family photo, dang it! SO, I would frame it and hang it in my house for all to see :), put it on my blog, and give it to our parents. I would frame it and place it on our empty wall in our family room!! And of course send some to grandparents. We haven't had family pics done in over a year, and we've had a new addition since then. We definitely need new ones!... for my blog, photos around the house, to give to family... they would be spread all over! We'll be in Utah this summer, perfect timing! I would love a new family photo! She does great work! I would make a HUGE print and frame it beautifully!!!! We always give my children's great grandparents a family photo for their anniversary. How fun it would be to give them a professional one instead of our best attempt of a timer shot! Thank you Molly and Heather for the donation and discount. My "baby" is two. I would love to have a proffesional picture of her taken with her brothers. I only have one picture of the three of them together and it was when she was approx. 9 months old. It's time to update and get grandparents a copy! Oh, I would looove to have a professionally taken photo to hang in the house...we have never ever splurged to have one done and our kids are already 4 and 7 years old...it is well past time! I would give it to my niece, who lives in Salt Lake City and is expecting a new baby! Oh wow! I would put in in my fancy new frame on my wall! We have never had a professionally done family photo, so one would definitely go up in our living room and then out to all my 6 siblings and parents who ALL still live in AR and my hub's parents in NJ. I would then also need to put pictures in my boys' rooms. Especially Finn's. He could spend hours looking at pictures of us on the computer and my digital camera - especially of his "DahDEE" and "Bee" (baby). Plus Owen has that yummy baby smile now where he's squishing his nose up and only has 2 little teeth on the bottom. Melt my heart, why don't you? I would frame several of the pictures and hang them in our home. Give some away to family. I love the memories you capture with a picture! Plus, it's been over two years since we had pictures taken. Our girls have changed so much. WE are in desperate need! I would get new family pics with the new baby! Is it sad to admit I would love this for me so I could finally get a family portrait done with our family of four (my baby is nearly 2 1/2 years old)? Thanks for the chance! I would use it to get family pictures taken. Our baby is almost 7 months old, and I'd love to get professional pics done of our little family. :) how fun! Hi Mollly! Been a reader for a while now and of course! I freaking love you! I've been married for 12 years now and have 2 boys(10 and 6) and 1 little girl(turned 2 yesterday) and we have NEVER had a family portrait done. Always ALWAYS wanted to though. My oldest son who is 10 has type1 juvenile diabetes. He was diagnosed when he was 7 so its been a REALLY "up and down" 3 years to say the least. The juvenile diabetes research foundation does little spot lights on kids with type 1 and want pics to go with it and I have waited so I can send in a good one of ALL of us and some cute single ones of him maybe. I have also wanted to send you an e mail to be a part of the "meet my readers Monday" but don't have a fun family photo, not to mention, the grandparents need a good shot of all of us as well, cuz really, whats cuter than grandkids right? i am having a girl in June after having two boys-I don't know what I'm going to do with myself! I'll need some newborn shots of her. Thanks!! I would finally be able to afford ($free.99! 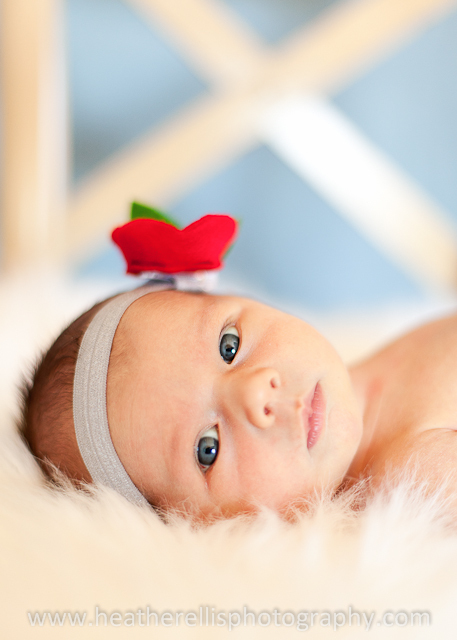 )to get pictures taken of my new baby girl and send them to all her adoring fans. i would love some cute pics of my kiddos to hang on my walls and give to my family! I would replace the very old family picture that has been hanging up in our living room way too long! I love that she is donating part of it to "A Good Grief." That is really neat! I would paste my photos all over the internet of course. I felt excited reading this!! We have twin boys who are four and a baby girl who is now 8 months. My husband has been in law school for three years and just started a new job, but with a new job salary and lots of school debt we still have not had professional pictures taken. I feel guilty about it all the time. I really want a family portrait to hang up. And pictures to post on my blog and give to family. I would love this! opportunity!! I would use it as a birthday gift to my baby who is turning 1 this month. I'd also love to get some cute pictures of both my boys together, frame it and hang it in their bedroom. Little family of 4 would love to get their picture taken! We would hang them proudly on our walls and share them with family :) Thank you Molly! We are finishing our basement and having a new baby soon. I will have lots of empty walls that could use some new family pictures! IT would be so fun to have an updated photo of our family. With a toddler among us, his look changes so often that we could use an updated photo. Plus, I love photographs, and they are in every room of this house! Love your blog Molly! This would be our first family photo as a family of FIVE! I would love it! Thanx for the opportunity! Time to update the pictures on the walls and give new pics to grandma and grandpa! I have a bunch of picture frames that need to be filled.. and our family pictures are just about out of date..
As you know I am a photographer and I am usually the one doing the giving away of shoots... it would be lovely to be the recipient! Ooh...we need a new family photo! We'd definitely share it with the grandparents. I would plaster new family photos all over facebook and my blog of course! Then I would hang a new one on our family room wall. We haven't had a professional one taken since my first son was a baby, he's now 8 years old and I have 2 more sons now!! It's about freakin' time to get a new one done! PLUS, I have a really cute 10 month old with thick, yummy hair. He's to die for and would make for some darn cute pictures! I would just LOVE to have cute pictures like these...I would LOVE to get professional ones done of my boys...they are just too handsome! I of course would give them to grandmas and grandpas..because they too...think they are just the cutest!! Looking around my house the other day I noticed we don't have ONE family picture displayed anywhere! I have lots of other photos but not one of my precious little family. I need more pictures of the most important thing in my life. We always need new photos of our baby girl - she grows so fast. I'd send the pictures to our parents. Family photos stress me out--but I feel terrible not having any at this stage of life when my kids are little. This would get me going! I can think of so many fun things to do with these photos. Family pictures would be great since we haven't taken any since September of 2010 when my guy was just a little bean. Oh, or 3yr old birthday shots since his birthday is a week and a half away. Even better, they would be great for either new baby announcements since we are due in April or shots of the two brothers when our newest miracle arrives. Any of those ideas would be a wonderful gift to our family! 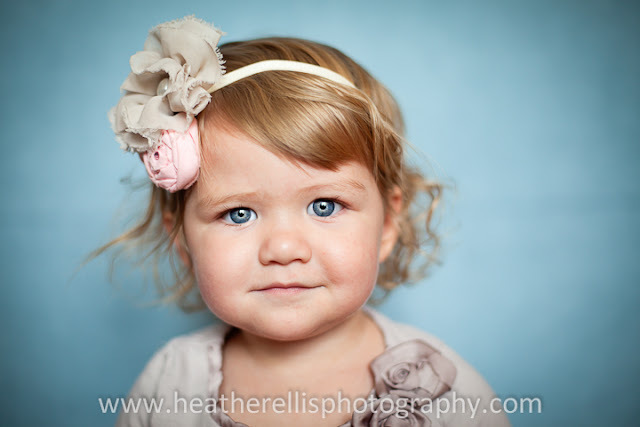 I have 2 kids and have only had professional family pictures done once (when my older girl was 1...now she is almost 4). I am a slacker! What gorgeous photography! We have never had "professional" pictures taken of our family and I would absolutel love one for our home! I would take our first family picture ever. 5 years in and we still don't have one! My baby is now 9 months old and we haven't been able to take family pictures. So, I would cherish it forever! (and send a few to the grandmas who keep complainging they don't have an updated picture of a family of 4)! We would just have to somehow agree on the color scheme. Would you send the email to Thompsonra@ldschurch.org versus my Google Account I don't check it very often. I would document the fact that I have lost almost 20lbs and have been too afraid to take family pictures for over a year because I was so over weight. We are in desperate need of a new family picture. We've added a family member since the last one. She's now nine months old. And her older sister was nine months the last time we took a picture almost two years ago. I'm in desperate need of new family photo! I have had 2 children since our last good professional picture. I would frame it an then hand them out to family!! I would update our family photo...from almost 9 years ago. The last family picture we had was when my oldest child was 1-year-old. He will be turning 10 this summer. Since our last picture we have added 4 other children to our family! I would love to get a new picture taken!!! Thanks. I would love an amazing family photo, as well as some new ones of my sweet kids. I need to get a good picture with my 2 sweet kiddies together. I would put it in my front entry way. And of course give some to the grand parents. We just added a sweet baby girl to our family and would LOVE to get an updated family picture! What a great giveaway! I would frame a giant picture of my kids and put it above my fireplace! Spring pictures of my girls.....love pictures of them together right and happy! I would enter it in a national photo contest of course! With such a great photographer (and such awesome subjects, I might add;) it's sure to win. Of course, I'll split the prize $ with you! We are visiting my husbands family in Florida in March, and they have no idea we are coming. We haven't seen them for a few years and they have never met our youngest. It would be so fun to leave grandma and aunties, uncles, cousins, grandpa and friends with some beautiful family pictures!!!! I also would display them in my home and send them to all our family all over the world!!!! I would love to be able to surprise my son and his sweet wife with professional photos of their family. My son has worked so hard to get himself through school. He graduated from BYU, then went on to graduate school in Idaho. I feel so ashamed that I was not able to acknowledge his success in a proper manor. My life changed when the economy changed so financially I was unable to give him a graduation gift I felt adequatly expressed how proud I am of his accomplishments. He has such a sweet little family, and I would love to give them the gift that photography offers - visual memories. Thank You. I would give this photo session to my daughter since see lives in Utah and I do not, so pictures could be taken of three of my grandchildren for me! I love this give away! I've been a blog stalker for awhile now, and have wanted to comment several times but haven't been able to find the right words. Well here is my no pressure chance to come out of tr blog stalker shadows! I'd use these pics for a fun family picture that shows of my fabulous -25 lb. self! hope I'm not too late! Have fun in CA! Hope it's not too late but I'd love to send a nice family photo to my grandparents. And keep one for my wall as well. :) Plus it would be a great way to get us to visit Utah! I would take maternity pictures and celebrate our beautiful rainbow baby. The pictures would be placed next to the pictures of an older sister too perfect for this world. I would use it to remind me forever of how content I feel in my life right now. My three boys (ages 3, 19 mo, & 19 mo) are my treasures. Crazy, loud, and adventurous treasures! I would send them to family, of course. And if they are cute we'll hang one up too! I would have my sister get some pregnancy photos of her long awaited pregnancy after a battle with cancer. I would send some to my dad who lives in Arkansas and who has never met my sweet husband and son!! We need a new family picture! !